Canadian trio LAL – vocalist, poet and activist Rosina Kazi, sound designer, composer, DJ and producer Murr and bassist Ian de Souza – releases their self-titled fourth album on Public Transit Recordings. The band’s latest recording is the embodiment of their hopes and fears. 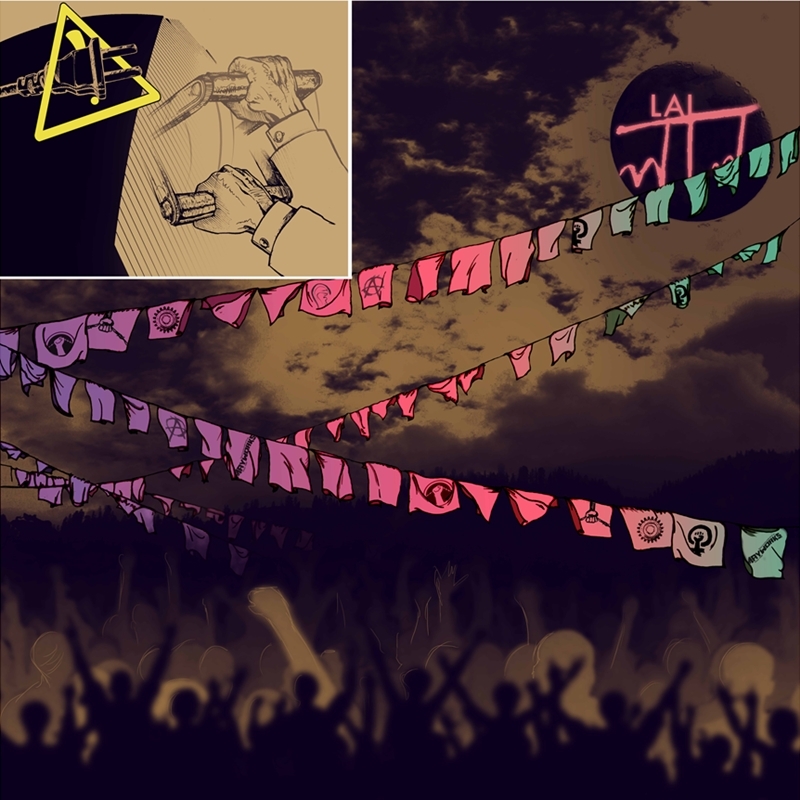 ‘LAL’ is a look at their lives through electronic music fused with their past and their future sounds. Combining pop, jazz, soul, international and electronic music to create their own distinct Toronto sound. The album is a response by the band, as artists, community members and as activists, to a world that they see as being swept up by a conservative agenda. An agenda that is pushing people to the margins, fuelling the growing gap between the rich and the rest of us, threatening those who tend the land and all of us who depend on it, and making living with dignity increasingly impossible for the majority of society. Yet, for LAL, concerns that society is headed in a terrifying direction goes head-to-head with an unrelenting faith in the human spirit’s ability to keep creating in the midst of struggle. In response to this perceived crisis, LAL brings together filmmakers, visual artists, poets, dancers, musicians, actors, activists and community members to collaborate and work together to educate, to create, and to build something powerful and wonderful together. Instead of seeing the future as bleak, LAL celebrates the right now and works to inspire a socially just and environmentally sustainable future with a soundtrack of dub poetry, soul, folk, roots, jazz and a definitive dancefloor aesthetic. LAL’s dynamic live show channels all of this into a glorious exploration of the depths of humanism. Rosina and Murr began collaborating as LAL in 1998, experimenting with stacks of equipment and wild poetics. In the early 2000s, they created two politically-charged and critically acclaimed electronic albums, ‘Corners’ (2002) and ‘Warm Belly, High Power’ (2004) – the latter earning them the distinction of 2004’s Best Soul Album by Canadian music bible, Exclaim! Magazine. LAL’s dynamic live show channels all of this into a glorious exploration of the depths of humanism Canadian tours and growing media attention followed, and accomplished bassist, Ian de Souza, joined the fray. ‘Deportation’ followed in 2008, inspired by the events surrounding and following September 11, 2001, and the fate of several deported friends in particular. The album was a personal treatise on the international sounds and textures of Toronto, on migration and movement, a challenge to militarism, dangerous love, and the stories of those silenced by (ill)legality. Ignited by the injustice that burrows deep into the fabric of society and by hearts burning with the fire for justice for all, LAL rips apart words, notes, and rhythms, while helping to build the kind of community that will lead us towards a brighter future. 2012 UK live dates to be announced. This entry was posted on December 15, 2011 at 6:21 pm and is filed under News with tags Ian de Souza, LAL, Public Transit Recordings, Rosina Kazi, Video. You can follow any responses to this entry through the RSS 2.0 feed. You can leave a response, or trackback from your own site.